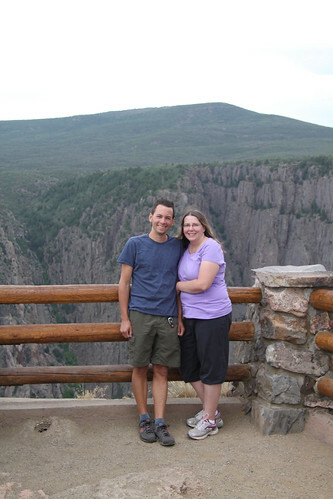 Back in 2010, we were on our way to Lake City and we passed by a national park. What? We hadn’t ever heard of that park. It went on the must see list. So there are 4 national parks in our great state of Colorado and this was our last to see. Not really sure if the photos capture the essence of this place. 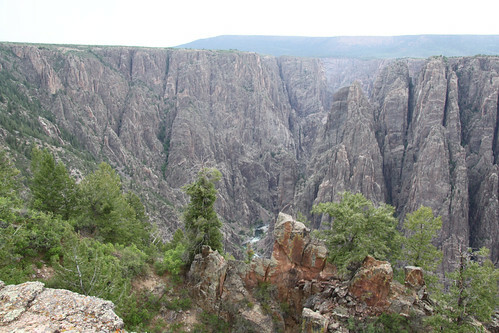 The deal is that the Gunnison River cuts through this valley and eroded it away over all those years. 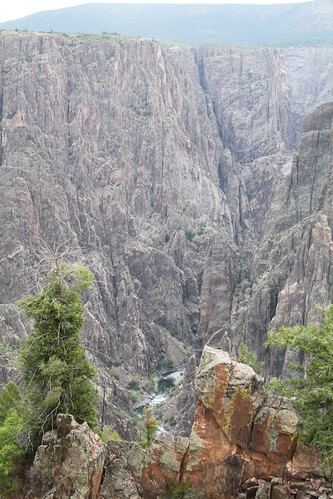 The river drops something like an average of 95 feet in elevation every mile. In comparison, the Colorado River that cuts through the Grand Canyon only drops like 4 feet per mile. Look close…you will see the greenish-blue water way down in the bottom. Probably the most interesting viewpoint was called Painted Wall. 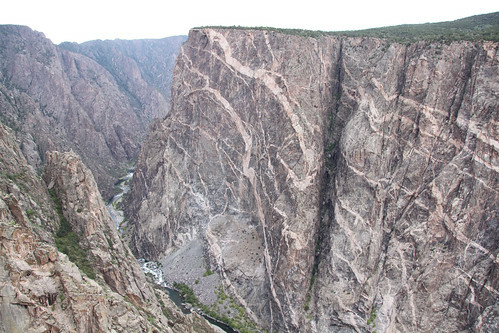 Its the largest cliff face in Colorado at about 2,300 vertical feet. The designs on the wall look like they were injected via some molding process. It was a cool park but its a in-n-out type of thing. Drive though and see it and move on. There isn’t really anyway to interact with the park. No real hiking. They do have some sort of boat/raft ride we heard about down on the river. That might be interesting to see it from the bottom. But man, if a rock falls, I bet you would hear it and probably die quickly when it hit you.